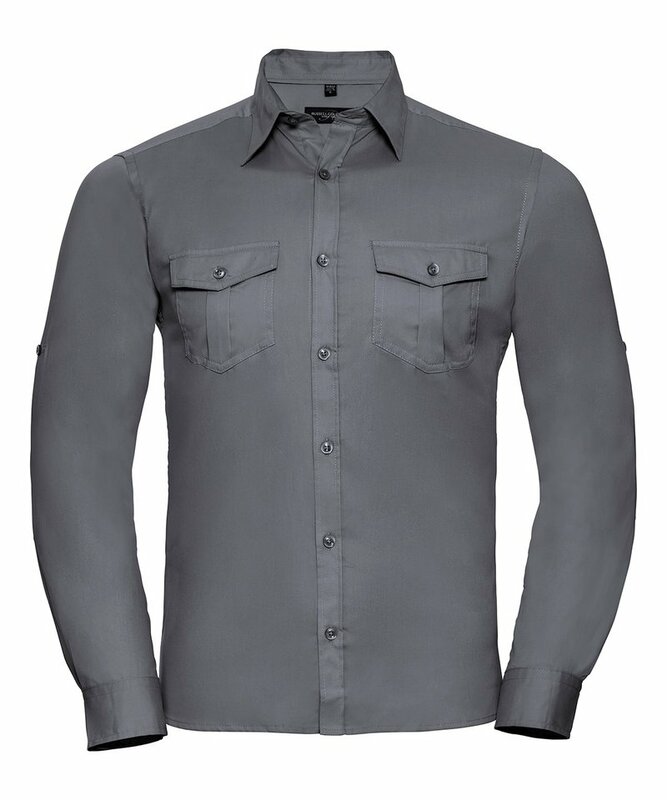 The J918M is the Russell Roll-Sleeve Mens Long Sleeve Shirt. 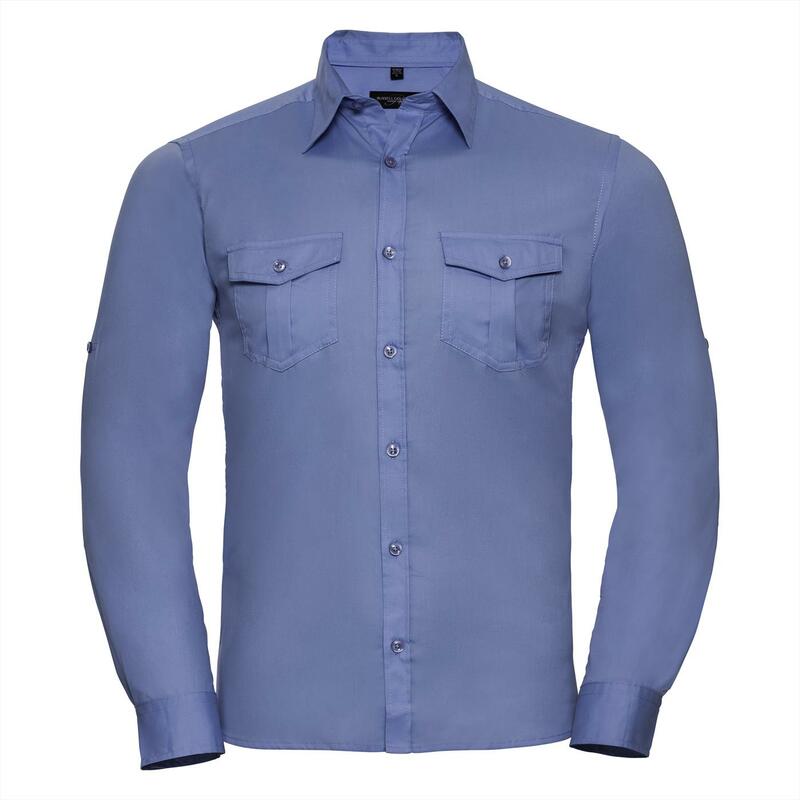 The Russell brand produce superb mens clothing, so the J918m makes a great choice when selecting your mens shirt online. Made from a 130gsm 100% Cotton Twill fabric, this mens long sleeve shirt has a modern fitted style with chest patch pockets with flap and button, and fabric tab to fix the rolled up sleeve, a semi-cut away, relaxed collar, and square edged adjustable cuff. The J918M also has a button on the outer sleeve and a fabric tab on the inside of the sleeve to allow it to be rolled up and tabbed. 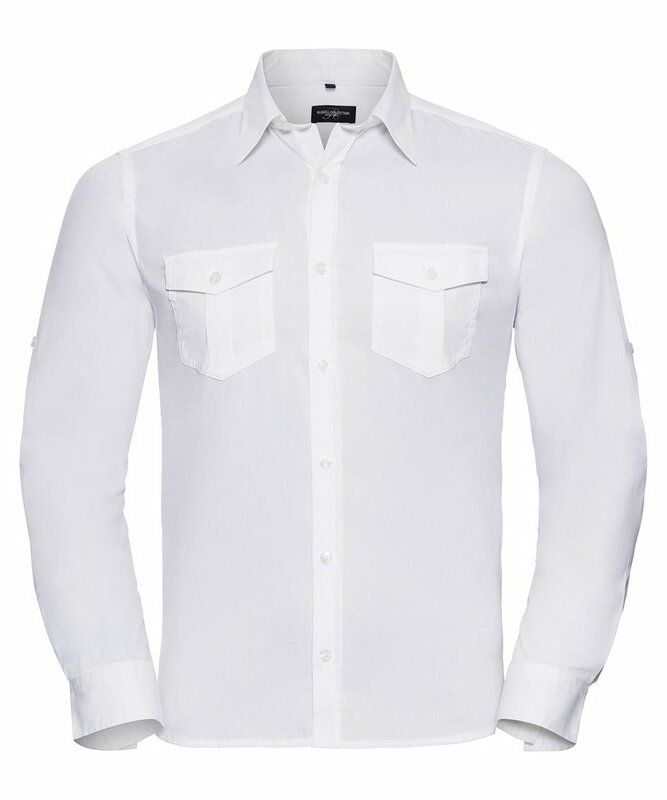 There are dye-to-match grosgrain patches on side seam hem, and a dye-to-match grosgrain tape along neck seam, with a rounded hem and spare buttons. 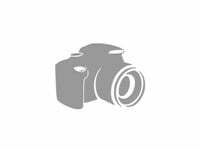 This garment is also suitable to be embroidered with your company logo. Please call to discuss all your embroidered shirt and embroidered hospitality wear requirements.